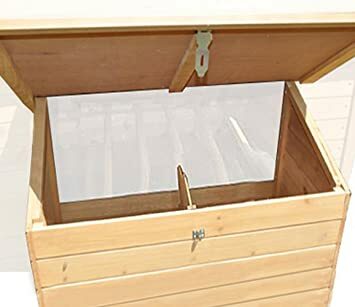 Miller Manufacturing 163620 Single Chicken Nesting Box is made of high density, impact resistant polyethylene that is easy to keep clean and will not rust, rot or corrode. Mounts securely on wall with slide type screw holes. Sloped roof prevents roosting. 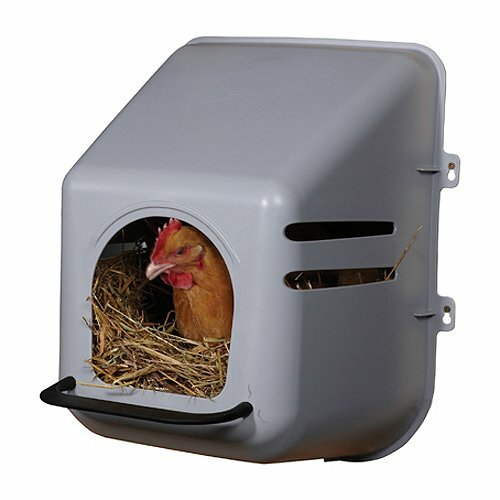 Perch gives hens a place to land before entering nest. Built-in ventilation holes for fresh air. Mounts to 16" on center studs.